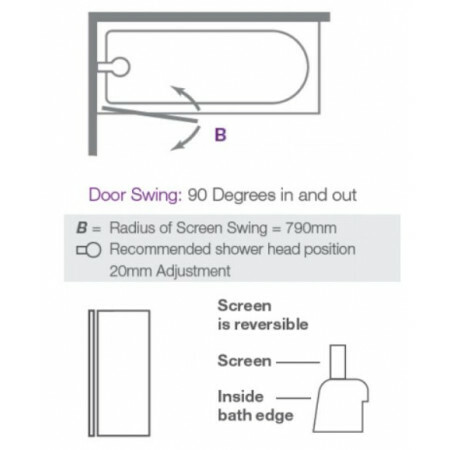 This Merlyn Single 800mm Square Bath Screen features clean lines with frameless 6mm easy clean safety glass, this Merlyn single screen is supplied with an adjustable bright finish wall profile and can be adjusted for out of true walls, the glass comes protected with Mershield Stayclear that allows for easy cleaning. The screen is 1500mm in height and 800mm in width and is fully reversible allowing it to be fitted at either end of the bath. 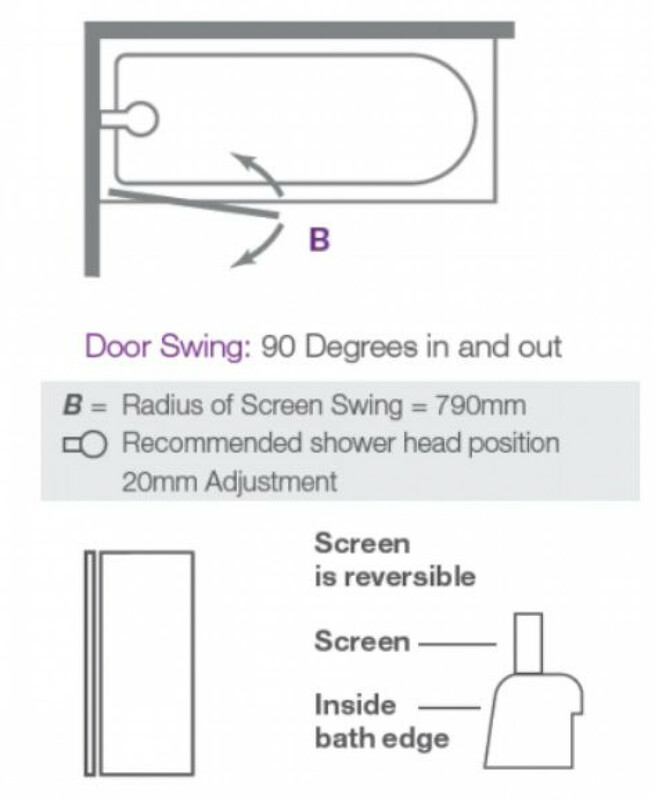 The screen is also fitted with a rise and fall hinge, which makes it easier to open and can fold back to the wall when not in use, the screen is now fitted with the Hydra seal that acts as an extra barrier to reduce water escaping from the bath screen whilst in use. The screen blends in perfectly in to any room setting and comes complete with a Lifetime guarantee. 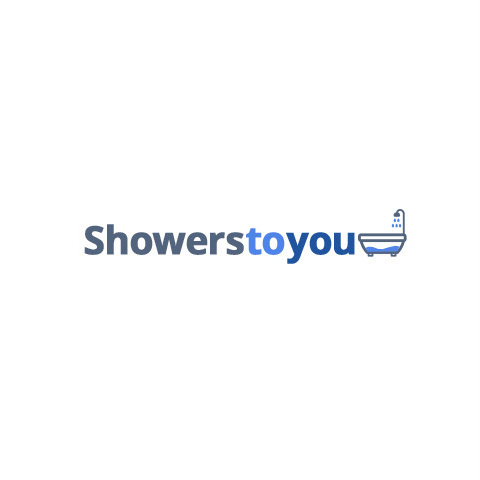 This item is supplied with a comprehensive manufacturers Lifetime Guarantee.